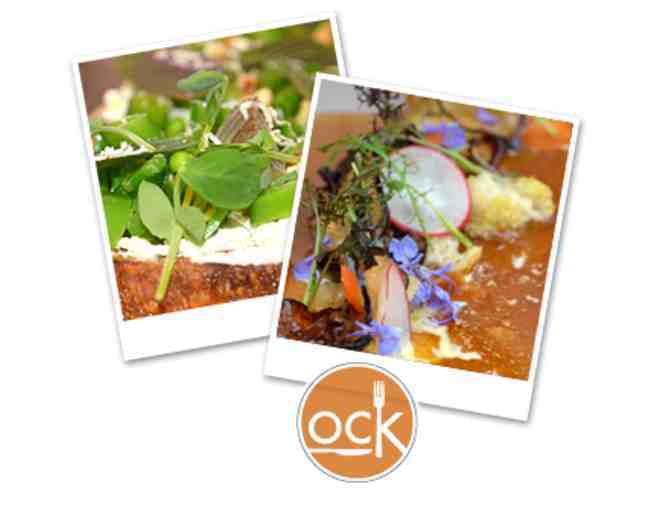 You are bidding on two - $50 gift cards to Orchard City Kitchen. Come enjoy a meal at Orchard City Kitchen, located in the Pruneyard of Campbell, California. Reflecting on his modern California sensibilities, Owner and Chef Jeffrey Stout wanted to build a progressive, ingredient-driven menu with an exciting mix of modern techniques and classic charm. Order as much or as little as you like, without having to worry about which fork to use. Chef Stout and his team offer OCK as a place to gather to enjoy a fun experience of sharing Food, refreshment, and Friends. These cards cannot be redeemed for cash. Card has no value until activated by Orchard City Kitchen. Gift cards will be shipped free via USPS to winning bidder or available for pickup at Waldorf School of the Peninsula.